Zork Grand Inquisitor, Magic Trilogy II & III, plus all the Sonic the Comic strips. on valentinesideasforher.com you can find some great ideas what to give her. as well as offering multiple ways to "complete" the game, encouraging replay. ways to solve puzzles and to finish the game. STC was a British children's comic published fortnightly between 1993 and 2002 and still has a loyal following of fans. 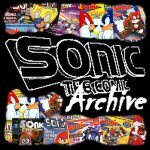 as comic strips based on other Sega video games. Sonic characters such as Tails, Knuckles, Amy and Chaotix. 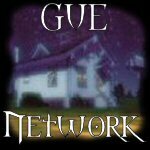 To view GUE Network properly download and install the Morpheus Font. This all these sites are best viewed at 800 x 600 or higher with 16 bit colour.